Daniel & Son Project Services is a CHAS (Contractor Health And Safety Assessment Scheme) approved service provider. We are proud to announce that we have successfully attained our accreditation in 2012. The CHAS accreditation stands proof of our commercial conformity with the critical stipulations issued in the health and safety legislation, meaning the prerequisites that are included in the CDM regulations. 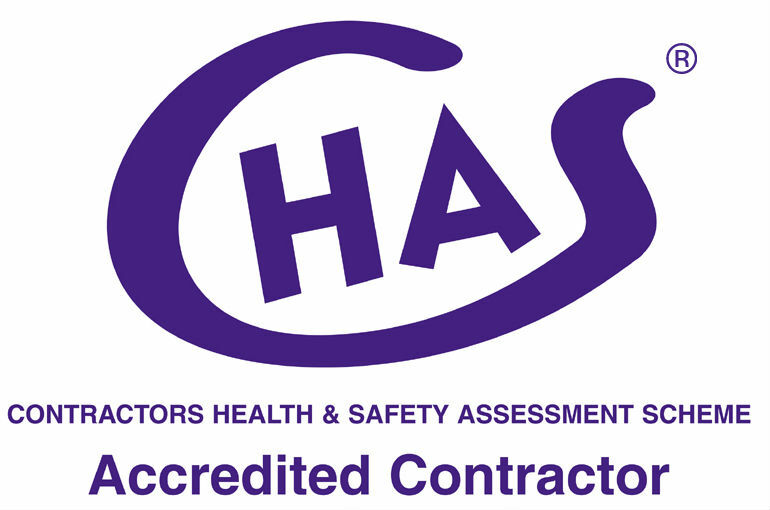 Established in 1997, the CHAS was founded by a group of safety and procurement professionals from all across the UK. The experts joined their efforts with the Association of London Government (ALG) and the result was the CHAS web-based system launched in 2001. The primary role of CHAS is to improve the health and safety standards across Great Britain. The secondary role of the group is to simplify the safety applications procedures for both the buyers and suppliers. In other words, the CHAS accreditation reduces duplication, especially since the suppliers’ compliance is accepted by almost all buyers. What does the CHAS accreditation mean to our customers? If you’re curious as to how our customers benefit from our CHAS accreditation, then the answer is very simple: they are doing business with a company that is overseen by a government-sponsored third party committee that puts a lot of emphasis on health and safety procedures. Therefore, our customers have the warranty that any work carried by Daniel & Son Project Services is conducted in a professional manner, on time and within the agreed budget. It is important to note that obtaining the supplier’s health and safety competence is an overall lengthy process. Although numerous suppliers across Great Britain apply for contracts with both the public and private sector, they won’t win the projects unless they have proof of respecting the health and safety standards to the letter. To gain accreditation, Daniel & Son Project Services had to provide supporting documents and show proof of procedures in place along with the application. The documents included everything related to health and safety procedures, from the General Policy Statement and Work Equipment Inventories to Fire Risk Assessments and Contractor Management Arrangements. The CHAS membership is beneficial for both the buyers and the suppliers, as it saves the parties time and resources. As a CHAS member, a supplier shows compliance with the important parts of the health and safety law and is approved to work with all CHAS buyers. On a side note, depending on the contract, some buyers may require obtaining the ‘Accredited’ status. The membership also helps limit potential problems associated with inconsistencies, especially in cases where a supplier is judged compliant by one buyer, but not by another. Lastly, being a CHAS member helps suppliers identify safety issues and receive guidance on how they can improve. How does CHAS benefit buyers? As previously mentioned, CHAS is a scheme that can save buyers looking for competent suppliers both time and resources. CHAS helps reduce duplication in the first stage of competence assessment. The first stage implies determining if the supplier has the ability, resources and experience to carry out the work that he applied for. To establish these facts, the buyer can verify the supplier’s working statements, references, examples of previous similar work, workforce training, so on and so forth. The second phase entails a deeper evaluation of the experience and resources of the supplier. At this point, the buyer will thoroughly check whether the method statements, liaising and resources are adequately proportional to the level of risk they carry. In order to protect their staff members and anyone else affected by their work, the buyer has the responsibility of supervising the supplier. Buyers can find out all of the aforementioned information by accessing the CHAS database. It is important to note that buyers have full access to the database, while suppliers can only view their personal page. To view the personal page, the supplier must have the CHAS accreditation. Although the CHAS is registered under the Data Protection Act, members should know that the scheme doesn’t include personal information in the database. The data is only factual and suppliers who are interested in their entry should contact the scheme manager. The promoter and manager of the scheme is Merton Council, which was appointed by the Association of London Government. The administration also consists of a National Management Board that ensures the scheme is run in accordance with the Constitution. The National Management Board includes procurement and safety professionals as well as UCATT and GMB trade union members. Any modification or changes to the scheme are made following the directions of the board. Take note that all CHAS assessors are NEBOSH qualified professionals who are currently practicing in the health and safety sector and are attending specific training on a regular basis. CHAS has a team of over 130 assessors who meet these criteria, professionals who managed to make the CHAS the market leader for safety and health pre-qualifications in the UK.